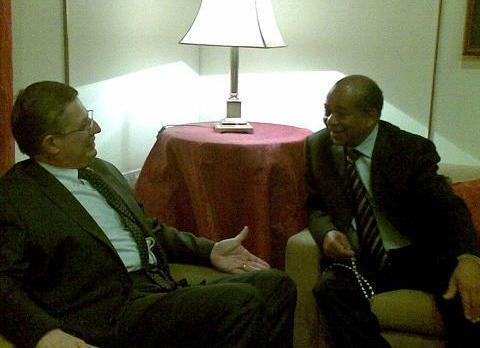 Abdurrahman Mohamed Shalgem, Secretary of the Libyan General People's Committee for Foreign Liaison and International Cooperation (Foreign Minister) arrived in Malta this evening for a short visit. He was greeted by Foreign Minister Tonio Borg and will tomorrow hold talks with Prime Minister Lawrence Gonzi and Dr Borg. He is also due to make a courtesy call on President Eddie Fenech Adami. The talks will focus on bilateral issues, with immigration and oil exploration in the waters between Libya and Malta being on the agenda. The Libyan minister will also participate in a meeting of the Libya-Malta Mixed Commission, which meets every two years.